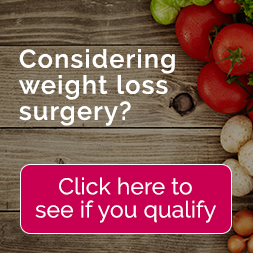 Are you looking for a less invasive procedure to lose weight? One of the most popular and effective options we offer is the Gastric Balloon (Intragastric Balloon Weight Management System). At Mexico Bariatric Center, we specialize in gastric balloon procedures starting at $3,695. The goal of non-surgical procedures like the gastric balloon is to fill the gap between surgical procedures and diet/exercise. Gastric balloon, also called tummy balloon or belly balloon, is typically part of a structured program, with diet and exercise. Inserting a deflated soft, silicone balloon through the mouth, inside the stomach. The balloon is inflated with air or liquid to a volume of about 500 ml, and thus reduces a patient’s stomach capacity to about 1000 ml. Inflated balloon creates restriction and gives the patient a feeling of fullness, like gastric sleeve and gastric banding. Smaller stomach capacity helping them reduce their caloric intake. Presence of the balloon in the stomach also delays the food discharge and patient stays full longer. The procedure itself takes no more than 30 minutes and can be in place up to six months (up to a year in case of Spatz). Mexico Bariatric Center (MBC) offers the two leading intragastric balloons with a proven track record: Orbera and the Spatz3. Non-surgical: The balloon is inserted orally into your stomach in a fast and efficient manner. Non-invasive: This procedure requires such mild work that many can go home the same day. Temporary: The balloon only remains within the stomach for 6 months (one year for Spatz) before removal. Who is a Candidate for Gastric Balloon? 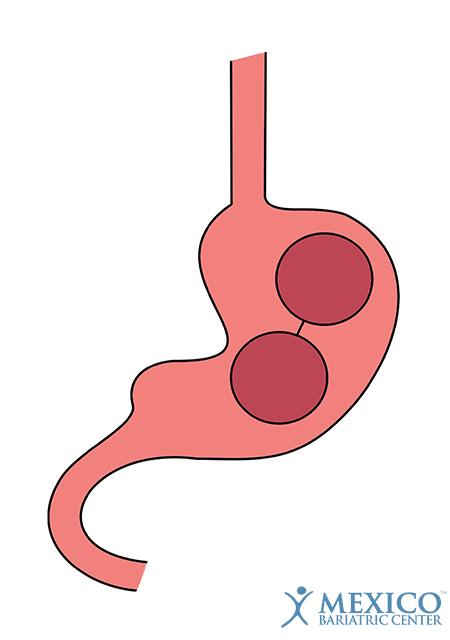 Intragastric balloon is an especially attractive option because of its lower BMI requirement. With bariatric surgeries, many surgeons require patients to have body mass indexes (BMIs) of 35 or even 40. With the gastric balloon patients, can undergo the procedure with a BMI of only 27. This means that more patients may be suitable candidates for this procedure. Sometimes bariatric surgeons require bariatric surgery prospects with high BMIs to lose weight, thus reducing risks and potential complications while undergoing bariatric surgery. Patients who need to lose a significant amount of weight before certain bariatric procedures jump-start the process with gastric balloon. Then when the physician is satisfied with the weight loss, they can remove the balloon and proceed with a more aggressive procedure. Although the intragastric balloon has not been widely studied, some studies found that (publish data), in six months, patients can lose up to 35% of their excess weight – an average of 1 to 2 lbs per week. This compares nicely with the expected 50% with gastric banding and 65% with gastric sleeve and gastric bypass. Apollo’s Orbera balloon is the leading and most widely used device. 6 Month (At Time of Removal): Total Body Weight Lost: 12% Median, with a 9.3% to 21% Range. 12 Months (6 Months After Removal): Excess Body Weight Lost: Ranged from 11% to 51% Lost. 36 Months (30 Months After Removal): About 6% Lost of Total Body Weight. 6 Month (At Time of Removal): Percentage of Excess Weight Lost: 31.8% Mean. The Spatz3 balloon is the only balloon that can be adjusted (normally after 3 months to 750 ml – leaves stomach size similar to gastric sleeve) and can stay in the stomach as long as 1 year. 12 Month (At Time of Removal): Percentage of Excess Weight Lost: 46% Mean. The procedure often produces cramping, nausea, vomiting, gastro-oesophageal reflux and discomfort immediately following placement. There is a slight risk of balloon deflation while inside the stomach, which can cause obstruction. What is the Cost of Gastric Balloon? Currently, the Intragastric Balloon is only available in the U.S., Canada, Australia, Mexico, South America and parts of Europe. The procedure is available in the United States for around $8,000. In other countries, such as Mexico, where the system is available; people can expect to pay the equivalent of $5,800. Check Out our Gastric Balloon Surgery Costs! Mexico Bariatric Center offers the intragastric balloon procedure with Orbera and Spatz at affordable prices. MBC is the only company that offers stay at the hospital for patients to be cared for and monitored after the procedure. Prices for the insertion, adjustment (Spatz) and removal (Typically, six months apart) of the balloon are quoted separately. * Prices are subject to change. Not valid on blackout dates. Prices depend on the surgeon, surgery, additional fees, and schedule. Prices may rise because of BMI level and previous abdominal surgeries. The prices shown here are for gastric balloon implementation only. Last Updated: March 2019 by Ron Elli, Ph.D.